The term „Industrie 4.0“ stands for the next development stage in the industry. We are talking about intelligent manufacturing, the digitalization of analogue production processes and about communicative networking. There is no shortage of ground-breaking visions – Industrie 4.0 should not only be limited to the manufacturing, but also penetrate all other areas within a company and even society. How important is it for your company to jump on the unstoppable train of Industrie 4.0? What are the important aspects of this revolution and how can it benefit you? Take advantage of Industrie 4.0 yourself. We will be happy to call you back at no obligation to you. The first conversation is free. Industrie 4.0 is intended to modernize manufacturing processes even more with the help of information and communication technology. . The goal is a smart production plant that works more efficiently and, as it were, organizes itself. The term 4.0 is still comparatively young. In 2011 it was first mentioned to the public at the German computer expo CeBIT. Representatives from business, politics and science presented a concept that will guarantee the competitiveness of German production sites also for the future. In other words, it can be summarized as follows: Industrial manufacturing must become more digital. The technological basis is provided by the integration of intelligent, digital networking systems that allow plants, logistics, products and people to communicate directly. In recent years, these plans have become more concrete. In 2016, they showed what a digitally connected factory could look like. Even today, the most important feature is the digital monitoring of the entire value chain. Therefore, Industrie 4.0 starts with the development of products, to the manufacturing through to the sale and then to the final use by the customer. Components of Vision Industrie 4.0 are already being used by companies. Customers can place orders in online shops and configure their desired product. Finally, all threads come together through a software solution – including order releases, stock levels or real-time data from the production lines. However, this is just the beginning. Digital networking will not only spawn “smart manufacturing”, it will also change business processes as well as business models. Limendo will help you with this challenge. With our digitalization expertise, we create your individual Business Model 4.0 specifically for you and turn it into reality. In the late 18th century, machines were developed, which were powered by water or steam power. The individual working steps in many areas of life were simplified by simple steam engines. This revolution was initiated with the invention of slaughterhouses in the US. One could use electrical energy for processing purposes and the way was paved for mass production. With the invention of electronics and the first computers, entire working steps have already been taken over by machines. The 4th Industrial Revolution is determined by machines communicating with each other autonomously. Products can now even optimize themselves through the broad information base they can rely on. The utilization of different digitalization tools and methods make it possible to process processes differently and more efficiently. Products can be produced in batch size 1. When it comes to automation, many people think of assembly lines, large manufacturing plants or robots that take over our jobs. Such state-of-the-art production equipment also plays a role in Industry 4.0, but there needs to be a new understanding of the term automation. It will find its way into all areas of a company, not just at the production site itself. It is about self-organizing logistics, self-optimizing manufacturing and versatile production lines. An example: With With intelligent sensors and digital networking, products can independently plan their own production process and thus react spontaneously to changes and bottlenecks. The real brain behind such sophisticated automation are so-called Cyber Physical Systems (CPS). CPS allows intelligent control processes that bundle, evaluate and forward all incidental data. This approach fundamentally changes the classic automation pyramid with the model of centralized controlling. Industry 4.0 should lead companies successfully into the future. One of the main arguments is the increase in efficiency, which can be improved in many areas. This includes significantly increased work productivity, which can already be achieved simply with digital production planning. Digital tools for production planning are already used by many companies in their industry today. The next big step is the integration of artificial intelligence and big data to make processes even more agile. The use of resources and energy can also be optimized within the course of digitalization. Potential increases in efficiency also affect maintenance and repairs. With Industry 4.0, machine data can be analysed in real time, and all-important data is forwarded directly to the responsible employees. If a replacement part is needed, the system communicates this very clearly. Development departments are working on a test basis with augmented and virtual reality – future techniques, which should support workers in training and maintenance. Large companies are already implementing Industry 4.0 technologies in many ways.However, Industrie 4.0 also offers interesting opportunities, for small and medium-sized companies to exploit untapped potential, to increase process efficiencies and to develop suitable business models. With this great step into the era of digitalization you will find the biggest support at Limendo Business Consultants..
To the benefit of everyone concerned, Industry 4.0 wants to bring customers and suppliers closer together. 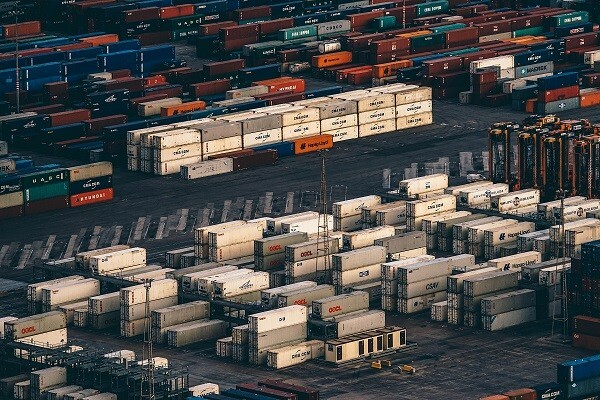 One solution is the combination of supply chain monitoring and more transparency for customers. Would you like an example? Mr. Müller orders a product online, so in the next step, all the necessary data is passed on to production planning. When can Mr Miller’s order be processed in a timely manner, what is the stock level, which parts have to be ordered from the supplier and when are they available? These questions will be answered automatically. The digital networking of all contact points finally provides a reliable delivery time within a few minutes. Such a scenario could soon become a reality, and also shows how transparent information becomes – both within the production floor as well as with the customer, who was literally able to basically follow each step of the production – live and in real time. The trend towards individuality is unmistakable. More and more people are demanding tailor-made products, and most of all, at affordable prices. Industry 4.0 is able to make this dream come true – because in the ideal case, individual products can be produced with the cost advantages of a large-scale production. The importance of a production batch 1 for many companies is shown by studies such as the German Industry 4.0 Index. According to this, 20% of all industrial companies surveyed handle productions of single batches at costs of mass production. The tendency is rising. The individualization of products is progressing steadily. These days, nobody has to choose between a brown and a black wall only. Many products – from furniture to cars – are produced only after the order has been placed by the customer. He will configure that cabinet conveniently from home via an App. He chooses the type of wood, decides between brass handles or plastic ones and also what dimensions the cabinet should have. On the Internet, young people put together their dream sneakers and choose between sole, colour, inserts and laces. The shoe is produced as a unique item – and yet it can be produced economically at low prices. The production solutions for production batch 1 are still evolving. Some companies rely on NFC chips to enable customized customization of mass-produced parts. These are mounted to the product and communicate with all process components, which are involved. Depending on the customer’s wishes stored there, for example a specific colour, a material or a graphic to be applied, the manufacturing department itself determines the necessary steps – without additional set-up times. 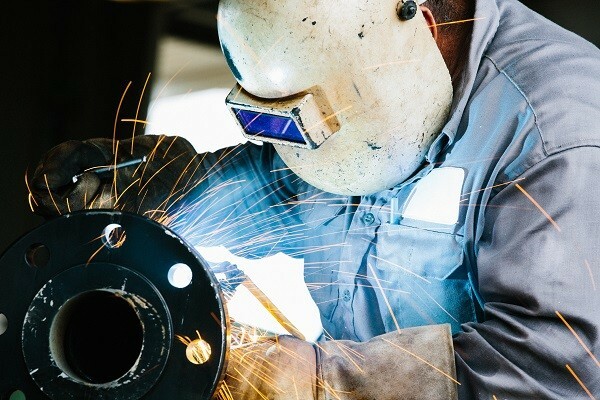 Knowing when certain products or semi-finished parts are in production and where, the manufacturer can react and plan accordingly. You can realize individual customer requests when there is idle time or capacity within certain processes. Understanding and optimizing this is the core task of Industry 4.0. 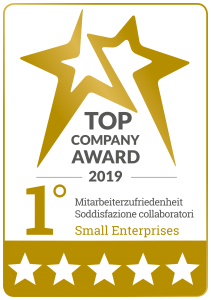 The Limendo Business Consultants from South Tyrol, Bozen (Italy), can offer you a variety of support.. By simply making production processes visible to you through the use of sensors, RFID or NFC chips. Or by partnering with Limendo Analytics to develop a business intelligence system with the right KPIs for production. Or by reviewing your administrative processes and networking them with the manufacturing processes. Getting home, the light is already switched on, the heating is at optimum temperature, and the shutters are closed. The topic „Smart Home“ has existed for many years already and by now has found its way into the daily lives of many people. Smart Home is an application example for the Internet of Things – as well as Industry 4.0. The Internet of Things (IoT) gives objects the ability to be accessible to users through information and communication channels, to communicate with each other, and to perform rule-based tasks. However, the linking of Industry 4.0 and the Internet of Things does not need to be confined to the industrial sector. Hotel reservations have been booked over the Internet for a long time. If a guest indulges in a beer from the minibar, this is automatically detected by sensors and booked accordingly. Agile companies, smart factories, close networking, artificial intelligence and complex data analysis: the digital Transformationassociated with Industry 4.0 has enormous potential. Many companies are catching up and want to exploit these potentials. But how does that actually work best? In the age of Industry 4.0, traditional value chains are a thing of the past. Businesses need to rethink and adapt both, new technologies and possibly even a newer business model. How do you pave the way to the digital world, what kind of software tools and virtual recording systems are needed, how should digital production be structured? There are no general answers to these questions, just individual solutions that are explored and driven forward with strategic planning. Limendo will support your company in each of these steps. From a fundamental modernization of the business model to the organizational anchoring within the company. Limendo ensures that companies are ready today for the challenges of tomorrow – with our advice for scalable, sustainable business models. 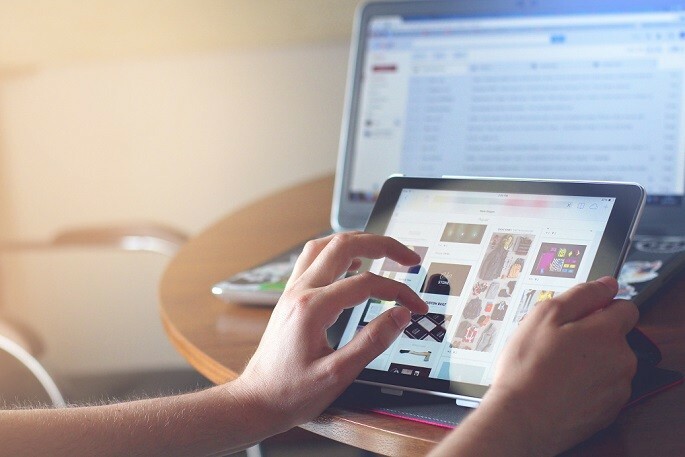 IS THE DIGITAL TRANSFORMATION ALSO SUITABLE FOR YOUR BUSINESS? In whichever way Industrie 4.0 may develop, one thing is certain: this is the way to the future. A fundamental success factor to be reckoned with. The Limendo House of Strategy supports you in making Industry 4.0 tangible and to be able to identify digitization strategies – from essential approaches to detailed implementation on site. Our experts here at Limendo vhave more than 10 years of experience developing management cockpits and performance management concepts. Together, we are building a business intelligence system that prepares companies for the age of Industry 4.0 and sets the course for digital transformation. Of course, our business consultants from South Tyrol, Bolzano, are also there for our international clients. Does a business model based on digitized processes make sense for your company? How can it be implemented, what new requirements will arise for the market presence, how must existing hierarchies be adjusted? What potential can be found in the back offices? 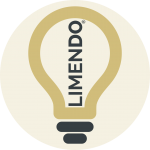 Limendo brings your business model straight onto the path to the future – with trusted advice, years of experience, a sense of technological potential and an eye for the finer details. How can Limendo Business Consultants help you? Request a call back or simply write a message to Limendo Business Consultants.